In this second and final part, we take a look at Trine's story, Humble Bundles, Jack Claw, and Splot. If you haven't already, be sure to take a peek at part one. Joel, in the first Trine game you were credited as the game's lead story writer. What inspirations did you draw upon for Trine's fairytale setting and plot? Joel: It was a team effort, the overall atmosphere was a shared vision and I wrote dialogue that fit the characters and the atmosphere. The overall fairytale atmosphere was inspired by, well - many fairytales. We didn't actually look for any source material as far as I know, it was more of a general "feeling" of what fairytales are and how we should turn that into a game. Pontius the Knight was the character that really set the tone for the story and dialogue, as his voice and way of speaking came rather naturally once his visual transformation was complete (from a regular knight to a more overweight, happy-but-a-bit-daft-and-stupid one). I don't remember if we actually had voice auditions before the dialogue, but that's a possibility too, because his voice really defined and polished the dialogue and the rest of the game as well. The actual story in the game... well, what happened was that we didn't really have any "proper" writers in the team, and I had written most of Shadowgrounds and Shadowgrounds Survivor, so the task was upon me to write "something". I was rather busy with all sorts of things back then already, so while I had written the level dialogue and some of the loading screens early on, the actual story was lacking badly. So a couple of days before we were set to record the voices, we realized the story was non-existent. There wasn't a lot of time for any changes, and many people thought we should just stick to what we had, but ultimately, after a few beers, our CEO figured out a "great story" in his head that he wrote down, and the next day I took a look at that and said we can do this. And then we rewrote the story during the night one or two days before recording. The new story didn't turn out as great as it had felt at the beginning but it was an improvement over the original (believe it or not). One of my goals was "just as long as it doesn't bring down the review scores", and I think overall it wasn't a negative aspect to most gamers, even if there's been some feedback on that. But the general atmosphere was more important than the actual story and that's what most people remember. In what ways did your role change for Trine 2? Joel: I was less hands-on. We hired a writer and she'd work on the story basis that our animator and artists had done, and we now had a lot more people in general. In Trine 1 I had done a bit of this and that, including level respawn areas, but in Trine 2 I only did some dialogue area stuff in the editor. In both games I handled the localization completely on my own though, so that's probably my biggest hands-on in them. Overall I tend to act as a facilitator, enabling the team to do what they do best, more so in Trine 1 though, as in Trine 2 we already had a few people who were able to do all those miscellaneous things that need to be done. In Trine 2 I was basically our main link between the outside world and the development team, sending builds and handling all sorts of business and marketing stuff with our CEO. Will the upcoming Trine 2 expansion be a continuation of the Trine or Trine 2 stories, or a self-contained adventure? Joel: It's a continuation from Trine 2. It's a "so the heroes were returning from the adventure" kind of a tale. I'm confident that the expansion will be our best story telling experience, we're still trying to integrate our story telling process into the game/level making process and Trine 2 suffered from that a bit, so with the expansion it looks like things will fall into place a little better. I guess we'll see! Can you talk at all about the new skills and gameplay mechanics that the expansion will be bringing to Trine 2? Joel: We haven't announced anything yet, so not really. :) There is a lot of new stuff though, the expansion takes the game to a new level and the skills will be usable in the original campaign as well. Are there plans for further Trine 2 expansions? Looking ahead, is Trine 3 a possibility? Joel: I have no doubt that we will eventually make Trine 3. But I think we'll first want to get the first Trine 2 expansion released, and then see if we should make another expansion, and then work on something else before we tackle Trine 3. Will we be likely to see a Trine 2 level editor in the future, and is that likely to have Linux support? Joel: Hard to say. We tend to hesitate with our level editor releases - right now it wouldn't really make much sense either. We don't have any documentation for it, and it's not very intuitive to use, and the game is not built to use separate levels as such. But perhaps along with the upcoming expansion we could give it a shot. So time will tell... Linux support will not happen unfortunately, the editor is built around Windows dialog boxes etc, and it would probably not be worth the effort to be honest. Joel: Haha. :) Yes the angry potato people will make a return. (Well no, not really - but you'll see a lot of other strange habitants and things in the expansion). What kind of effect did the Humble Frozenbyte Bundle have on the Frozenbyte community? Joel: That's hard to say in the sense that we haven't really noticed many changes. Everything's just been growing quite steadily, and it's hard to notice while it happens. Naturally during the bundle there was a lot more activity on our forums and support in general, and it was quite overwhelming at some point. To be honest we've still not fully recovered in the sense that we realized we needed to share the workload and that process is still going on, and has caused some delays in replies on our forums. I don't frequent our forums right now myself, for example, which is a shame but there's just not enough time. Hopefully I'll get that reversed at some point. A lot of people still remember the HFB though, or were introduced to the games by it, so that's cool, and has given a bit of a new life to the Shadowgrounds games too. That's always nice to see and hear. What do you consider to be the most positive things to come out of the Humble Frozenbyte Bundle? If the opportunity arose, would you participate in another Humble Bundle? Joel: Do you want the honest answer? Because, you know, in retrospect the financial part was extremely important. The development of Trine 2 got delayed a couple of months right around the time of the bundle, even if we were a little slow to realize that. The Humble Frozenbyte Bundle basically allowed us to finish the development on Trine 2. We could've found other ways too but the bundle made things a bit more relaxed on the financial side, which has a lot of benefits on the team and shows in the final game I think. So to be perfectly honest that was the #1 thing, especially in retrospect. On that note, can you talk about Splot's progress at all? Will we be likely to see a 2012 release? Joel: Splot will see a 2012 release. We're a little embarrassed that it's taken this long to be honest... We are still polishing it though, so I don't want to commit to any specific date yet, but it's been in the "just a couple of months" mode for a while. We're going iOS/Android first and hopefully shortly after for Windows/Mac/Linux. Is Splot likely to be migrated to the Trine 2 engine or Storm3D (the engine for both Shadowgrounds games and Trine), or remain a Flash based game? Joel: We're using a middleware now, so in theory we should have non-Flash releases for some of the platforms. We probably won't migrate it to our main engine (which we haven't officially named; Storm3D is the original name back from 2000/2001 but we're not using it anymore), there's not a lot of benefits in that at this point. What sort of feedback have you received from Humble Bundle purchasers who have played the Splot demo? What motivated the source releases that accompanied the Humble Frozenbyte Bundle, and what kind of impact have they had not only on the Frozenbyte community, but also on you as developers? Joel: The release motivation was really of the "hey we should do something to keep people interested in the bundle mid-way". I think the impact has been minimal. We knew all along that the source code is messy (I guess that's what all programmers say about their old source code though, so as a non-programmer I don't know how it really stacks up), and we didn't really expect a lot to come out of it. We also chose to use our own license terms for it, which didn't really encourage the open source community, I'm sure that also played a part. Are source releases for additional titles likely to be seen in the future? Joel: We are a rather big company nowadays - at least compared to when we started out in 2001/2002 with just a couple of guys - and truth be said we have to be somewhat protective of our code and assets. We have done a lot of special projects and worked with a lot of partners, and when you release source code there's always a little risk that something gets released that really shouldn't. It's also really hard for anybody but the programmers to crawl through that code, and usually they would rather work on something new and exciting instead... So I would say that in the next few years it's unlikely that we would release any new source code. How do you feel Jack Claw is progressing as a community driven project? Joel: Well, it's not progressing much, is it? :) Not a big surprise, and we didn't really have a clear idea of how to go about it anyhow, we gave it a shot and tried to improvise, but in the end we lost interest too, and never really were able to give it the time and effort needed. Overall we're happy that the game is "out there" though, it was an impressive project back in 2006/2007 and I think people have generally enjoyed playing it, so even if this is the end of Jack Claw, it's had its fifteen seconds of fame. Where do you see Frozenbyte in two years' time? Joel: Hopefully we'll have just released our next big game! I hope we'll have been able to self-fund it all, and not be completely dependent on its commercial success either. I imagine we should have one or two new projects going on as well. And, to finish up, what is your favourite game? Joel: UFO: Enemy Unknown, i.e. the first X-COM. Hands down. :) I have very fond memories of it, the first time a Chryssalid zombifies one of your men, oh man... It was the perfect game at the perfect time for me, I was around 12-14 at the time. There's a lot of games I love from my youth (Red Alert, Slipstream 5000 among others, and later on Rage of Mages and Original War for example) but the problem is that they don't always really stand the test of time. But X-COM is still great. Joel: In the long run, yes. We had some contractual issues that were in the way at first, now those are probably ok so we could do it if Steam is ok with it, so this is something we'll bring up with Steam and see what they think. Thanks for your time, Joel and Jukka, and best of luck with the upcoming Trine 2 expansion! 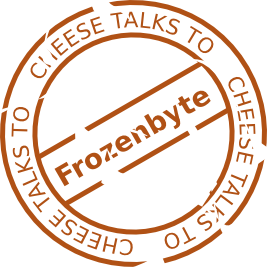 This concludes part two of my interview with Frozenbyte. Don't forget to check out part one.